Project Gridless: Whistling Arrows - What is the point? In the video above, available on Project Gridless on YouTube, myself and a random stranger demonstrate shooting whistling arrows - for fun. Historically (or Traditionally, whatever) whistling arrows were used primarily to signal allies, which did serve a purpose at the time. 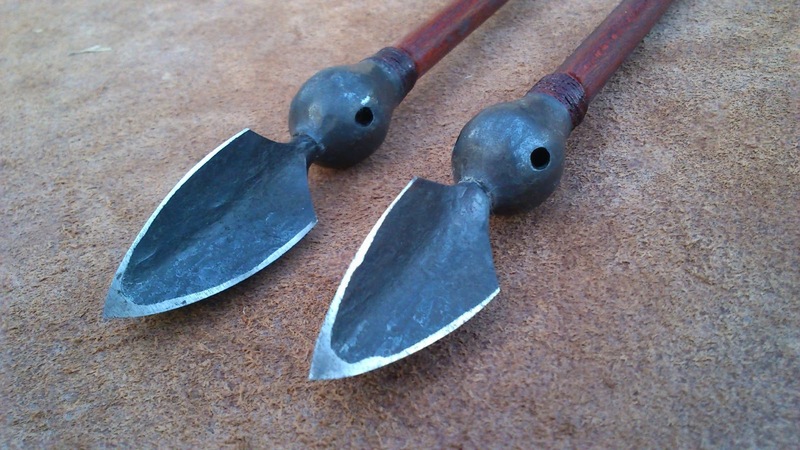 The Mongolians and Tibetans also used "howling arrows" during wars in order to scare their enemies. Several thousand howling arrows coming towards their enemies would scare the bejeezus out of their foes and send them scurrying. Seeing comrades shot down by such arrows and then hearing one coming closer to themselves was a nerve wracking experience for the soldiers fighting against the Mongolians/Tibetans, and such soldiers would often suffer PTSD symptoms after fleeing the combat because of the fear the arrows had instilled in their damaged psyche. Many other cultures used similar arrowheads too. 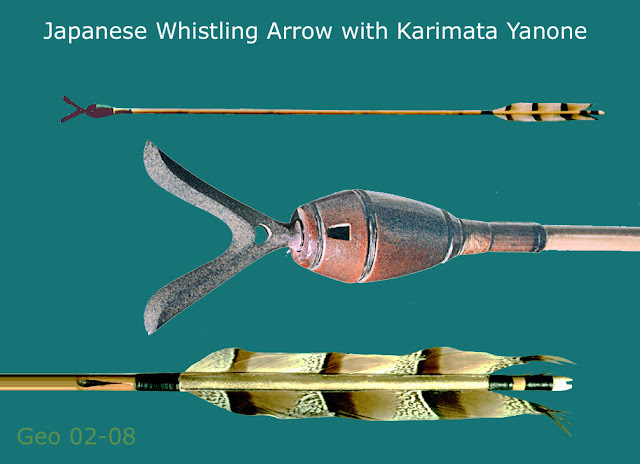 Below for example is a Japanese Whistling Arrowhead. Modern Whistling Arrowheads are pretty simple. They are not even sharp, typically. 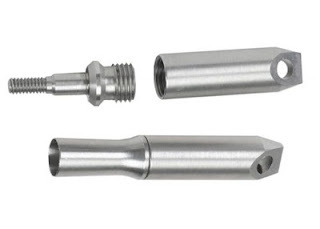 Just a piece of hollow metal with two holes in the tip. So what would you use them for? They are fun to shoot. That is it. They have no actual practical use these days. I suppose you could use them to scare off predators from your cabin, or even scare off trespassers, but that is it. But if your primary goal was to scare off predators / trespassers, just get a big dog for your Off Grid home. And then put up signs that say BEWARE OF DOG. Most trespassers would rather not get bitten and would avoid any area with signs that say BEWARE OF DOG (TRESPASSERS WILL BE MAULED). Or just skip the dog and get the sign. Works too.